Today I saw the first squirrel of this year – I’m sure they were always around, but they were hiding so well that I never noticed them until today. This one was actually on my balcony before it scampered off, jumped into the Maple tree and ran over the Garage roof! 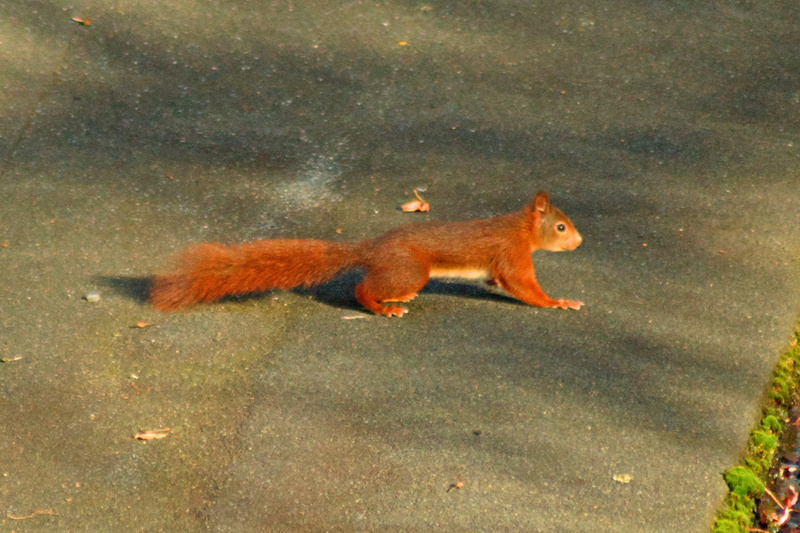 It’s not the best shot because the squirrel really surprised me, but it’s good enough for a first glimpse!